Danica Steadman is the manager of student programs in Gowling WLG’s Ottawa office. She is responsible for the recruitment and management of summer and articling students in the office, which hires approximately 40 students annually. Danica is the local chair of the Ottawa branch of Gowling WLG’s Diversity and Inclusion Committee, which supports the National Diversity and Inclusion Council’s mandate and initiatives. She is also a former co-chair of the Canadian Section diversity working group of the National Association for Law Placement (NALP) — an association of over 2,500 legal career professionals who advise law students, lawyers, law offices, and law schools in North America and beyond. Danica recently accepted the distinguished position of Canadian Section chair with the NALP. 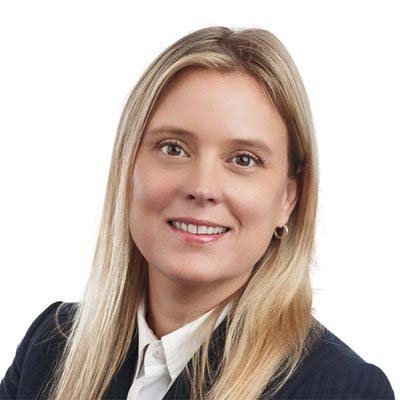 Prior to joining Gowling WLG, Danica was the program chair of the paralegal and law enforcement foundations programs at a local college in Ottawa. She was also an associate at a law firm and gained experience in a broad range of legal areas, including civil litigation, criminal law, employment law, estates law, family law, insurance law, personal injury law, small claims law and real estate law. Danica completed her LLM at the University of Ottawa and is fluent in both French and English.